Eagle Mountain is growing by leaps and bounds every year! We've compiled a list of all of the businesses with a physical storefront in this great city. You can also search by category on this page. Shop local! Fusions Hair Studio in Eagle Mountain is dedicated to your beauty and well-being. Their reputable team provides individualized hair and skin care with integrity and ingenuity. 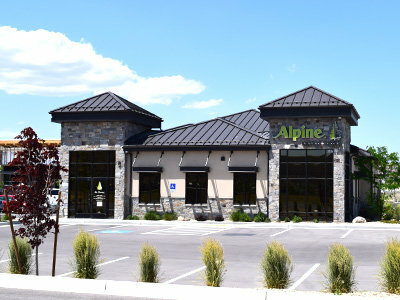 Utah County Credit Union with a variety of financial services conveniently located at the Porter's Crossing Town Center. Here to provide quality service for your fitness goals. This includes personalized coaching, where we safely guide, train and motivate you. Gotta Dance Performing Arts Studio provides students with the opportunity for self-discovery and personal growth through the development of talents and participation in the performing arts. In Motion Dance Studio is a low-pressure studio where we simply provide dance without the ever increasing fees for multiple competitions, costumes, travel and performances. Everything you need to keep on moving. From candies, sodas and baked goods, we have it all. 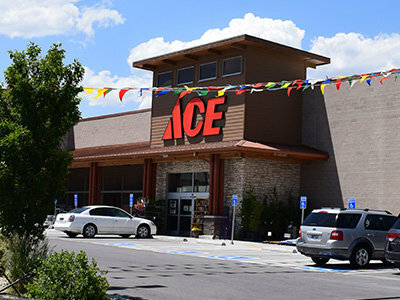 Located in the Eagle Mountain City Center. Everything you need to keep on moving. From candies, sodas and baked goods, we have it all. With Chevron gas station. Gas-station & convenience-store chain, serving drinks & snacks from burritos to frozen yogurt. Open 24/7. Providing the finest in optometry services in Eagle Mountain and the surrounding communities. Run by Dr. Tyler Barney. The Hart Dental Team would like to help you on your road to achieving your ideal smile, we are here to serve you and your family. The Eagle Mountain Pharmacy is located within Ridley's Family Market next to the Starbucks. Fill your prescriptions conveniently! 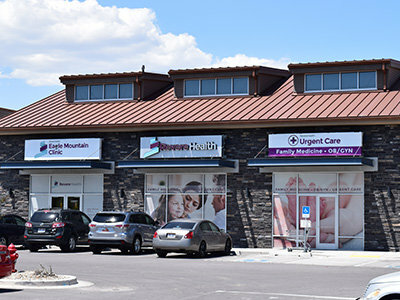 The Eagle Mountain Clinic by Revere Health is the first general and urgent healthcare facility in the area. Creating an environment where children feel valued are provided with daily opportunities to learn, grow and explore the world around them. Garden Near the Green serves the community as an exceptional venue to host a number of memorable events such as weddings and corporate meetings. 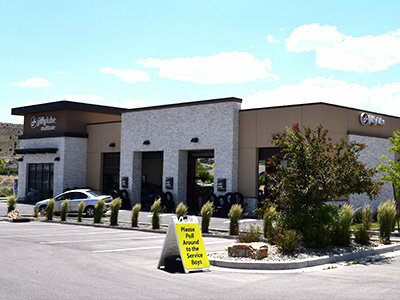 Eagle Mountain's very own Jiffy Lube located at the Porter's Crossing Town Center. Take care of oil changes and basic maintenance close to home. 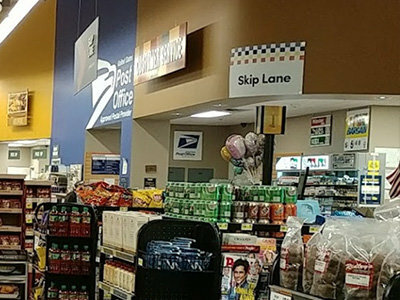 US Post Office Approved Postal Provider at Ridley's Family Market. 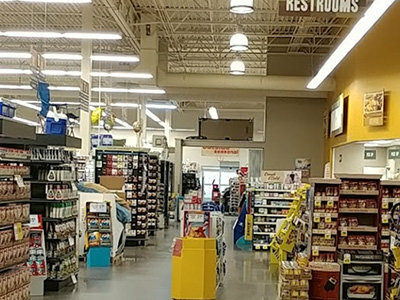 Located next to the pharmacy and the customer service area. 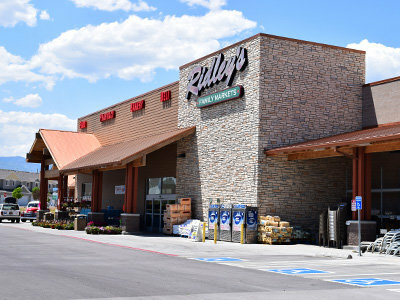 Ridley's Family Market, Eagle Mountains first grocery store, also features a deli, bakery, pharmacy, Starbucks, US Post Office and a DQ Grill & Chill. Eagle Mountains first hardware store, located conveniently next to Ridley's Family Market. Friendly service from America's favorite mid-sized hardware store.